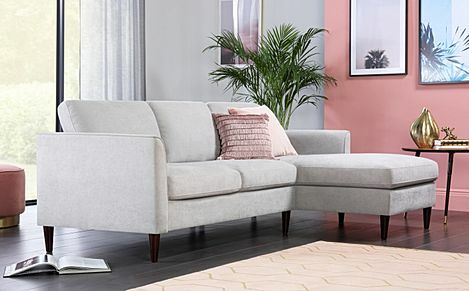 Contemporary and spacious, the Hayward corner sofa is a stylish option for the living room. Crafted in plush fabric on a reinforced frame, its clean lines and sumptuous arms make it ideal for lounging and offers maximum support. Built to last, this sofa makes an inviting centrepiece for the home.